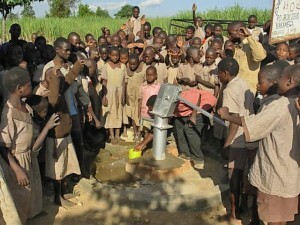 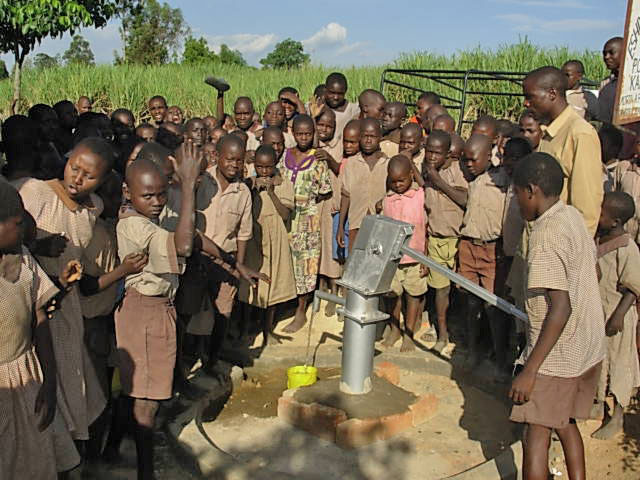 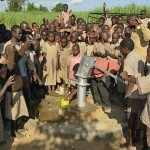 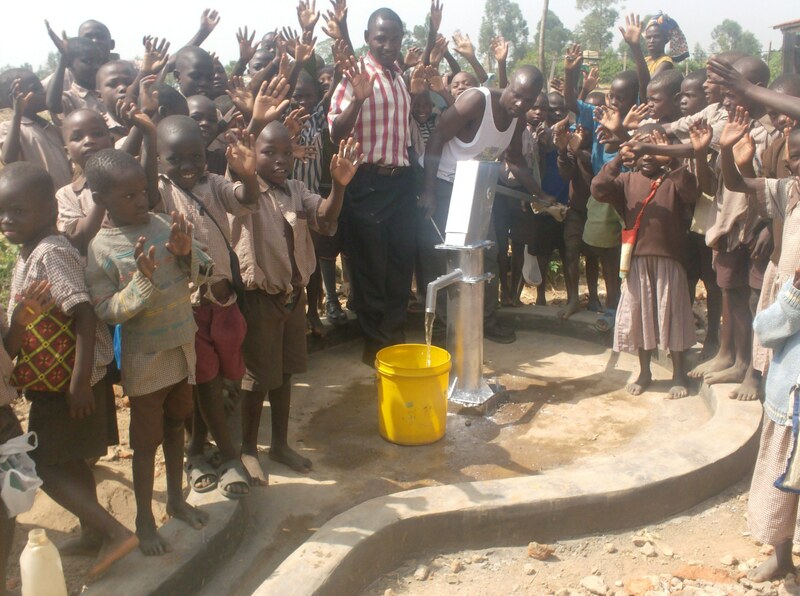 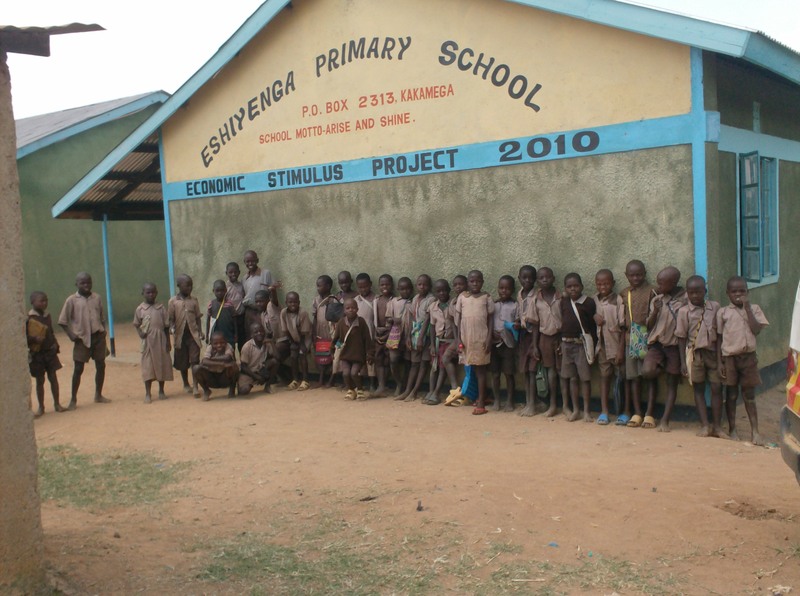 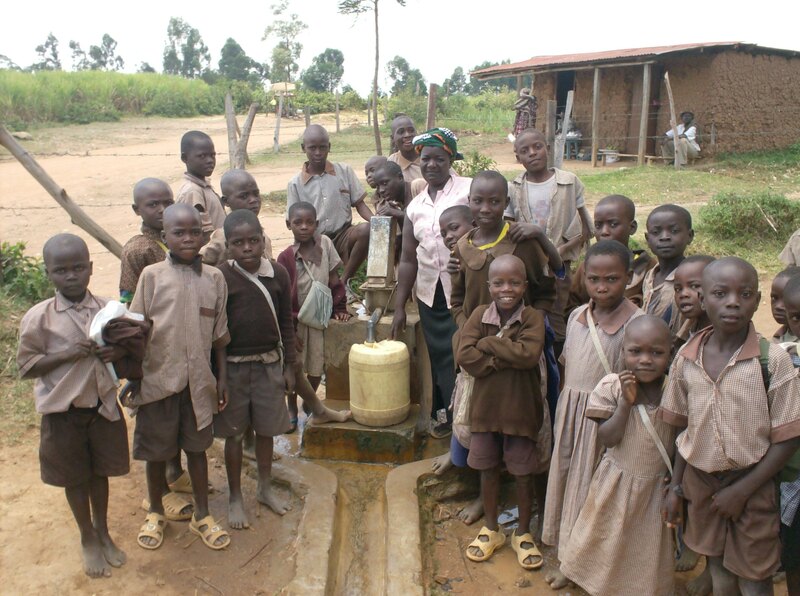 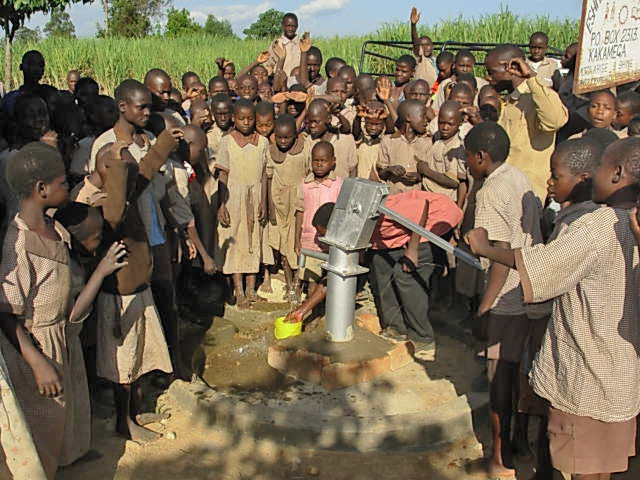 There’s a new well at the Eshienga School in Western Kenya. students tossing clean water around in celebration of new found freedom. 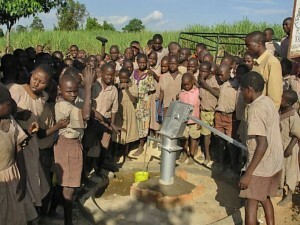 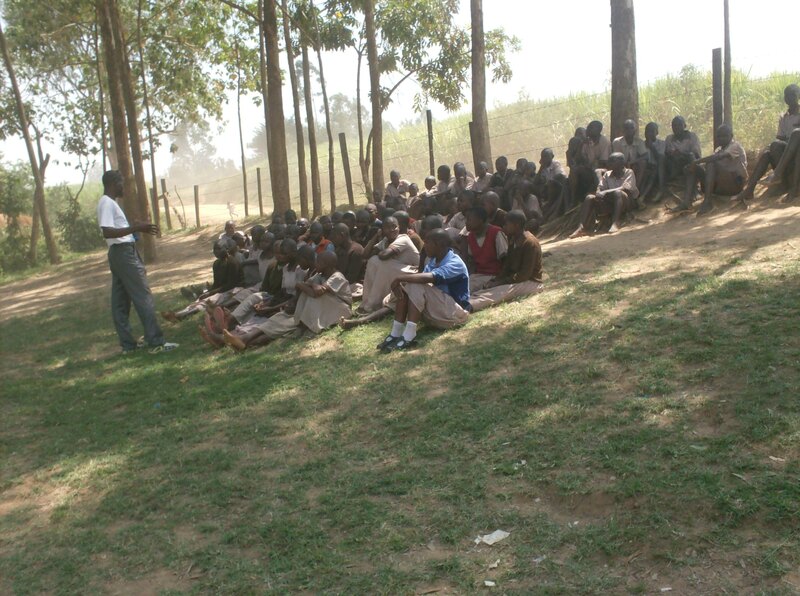 These students no longer have to walk miles for dirty water. 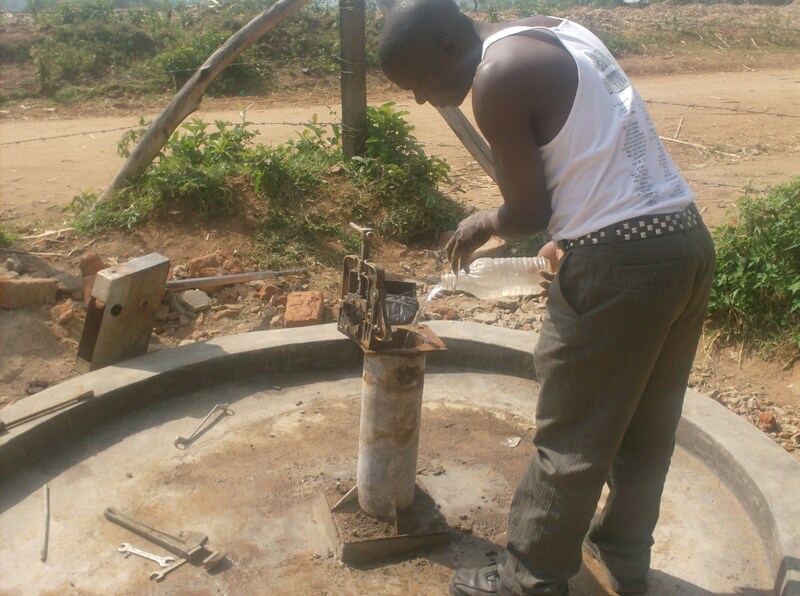 As part of our commitment to ensure hygiene and sanitation practices are being taught well, we have had our team revisit a number of well sites completed last year. 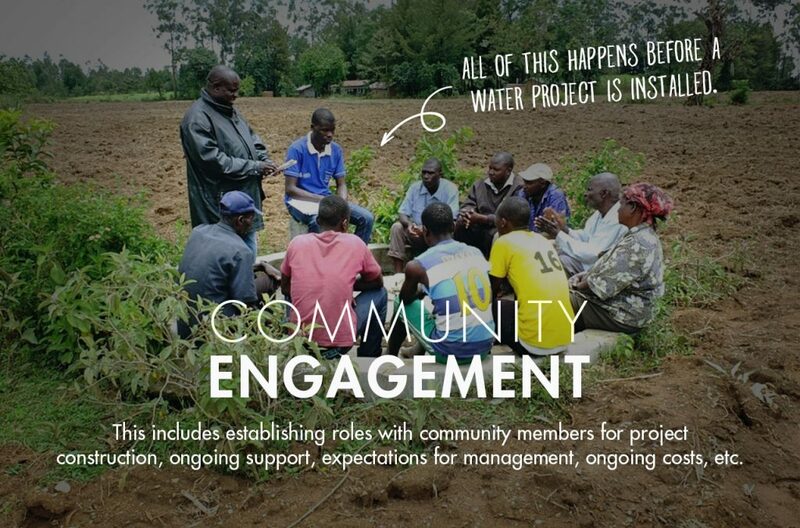 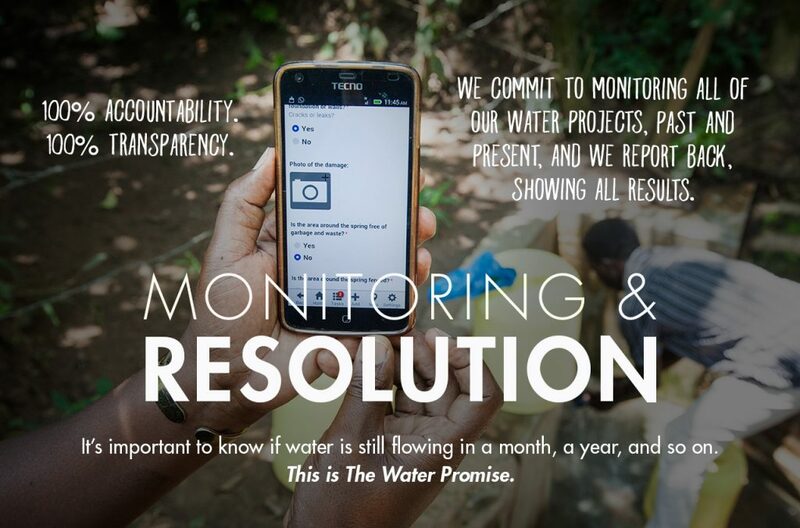 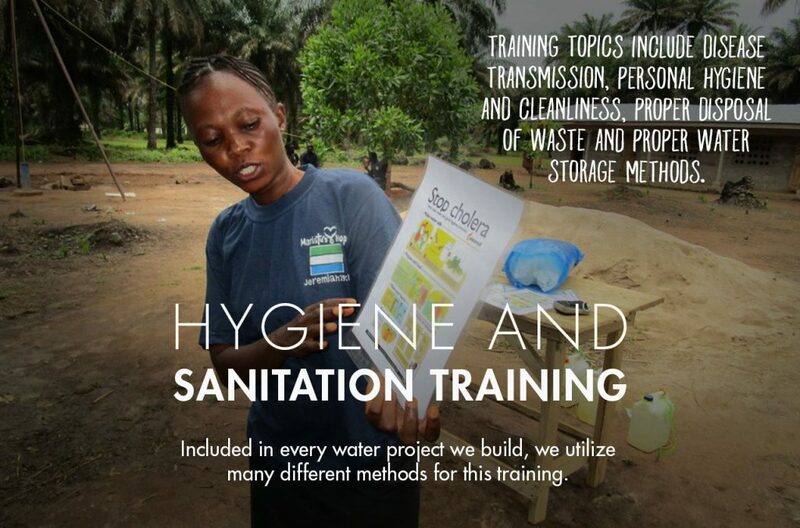 As the implementing team learns more about WaSH, they can share this with the communities we remain committed to. 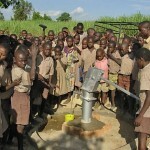 The well at the Eshienga Primary School was recently repaired by our team. 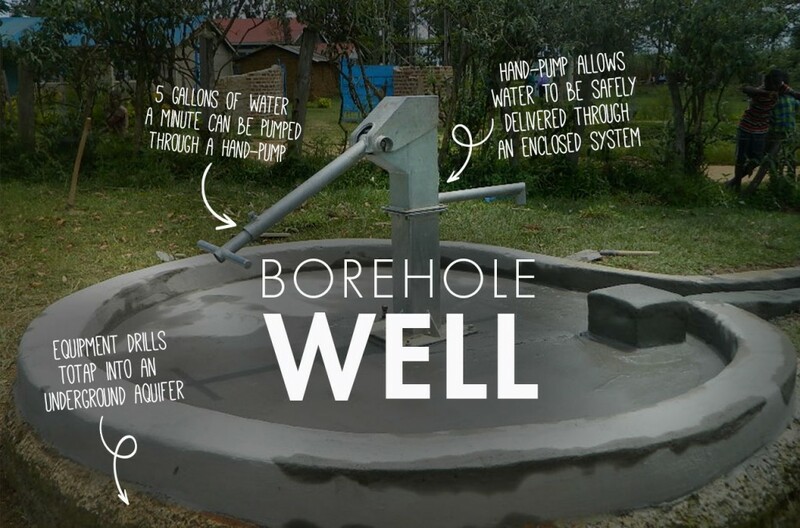 Apparently, when the well was first installed the original team used inferior internal parts. 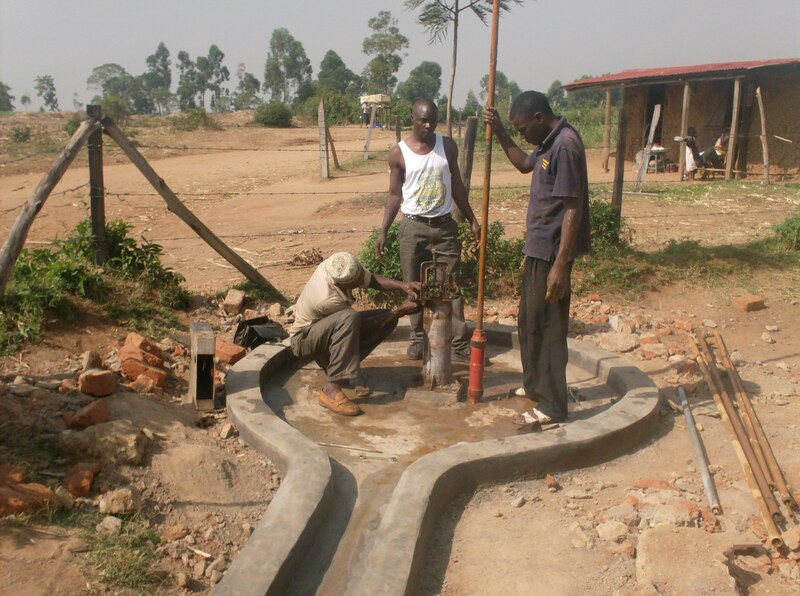 Where we had specified stainless steel rods to be used, a cheap knock off was used instead. 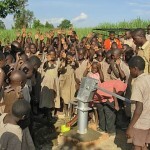 As a result, the rods rusted and the well began to produce brownish water. 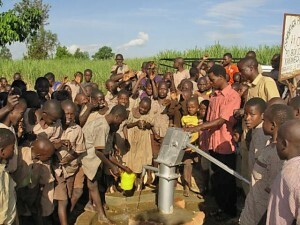 The workers who had installed those parts had been previously let go from our partners crew, suspected of this activity. 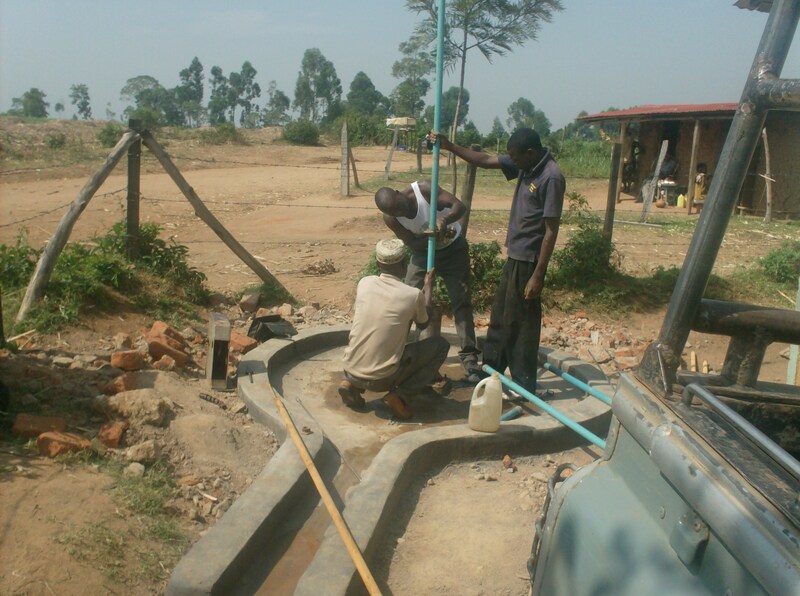 We initiated an investigation into every well they worked on to ensure the right, long lasting parts are installed. 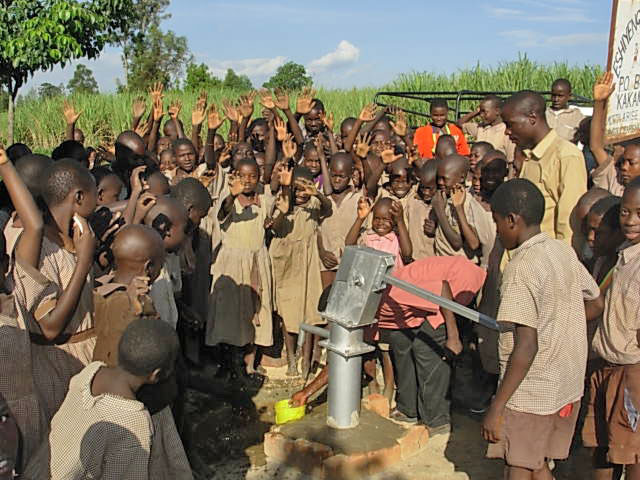 The current team has replaced the internal mechanisms with the correct, high grade parts and the well is once again pumping clean water.